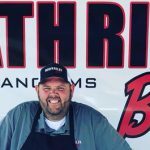 Derrick Riches needs little in the way of introduction in BBQ circles, having been the BBQ editor for About.com for the last 20 years (starting in 1997) easily one of if not the most authoritative sites on the Internet. 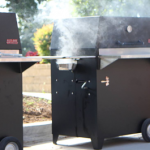 When I started blogging about BBQ, there were two sites I looked to for information on different BBQ and grilling equipment, recipes, etc. One, was the BBQ portion of About.com and the other was Amazing Ribs.com. The BBQ Beat Podcast began with one goal in mind. 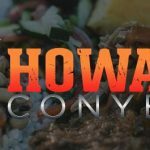 Seek out as many BBQ and grilling influencers as possible and get them on the show. Having the chance to spend nearly and hour talking with Derrick definitely helped fulfill this goal. More than that, it was a real pleasure learning about his childhood growing up hunting and fishing in the Mountains of Utah, where his love of live fire cooking really started. 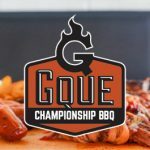 As I mentioned, Derrick started writing about BBQ on About.com back in 1997 and still contributes to the site today as part of the team at TheSpruce.com. 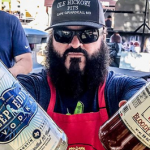 Over the past 20 years as the expert and writer for the barbecue section of About.com, Derrick amassed an immense level of knowledge and experience with just about every grill, smoker, or other live fire cooking device you can think of. 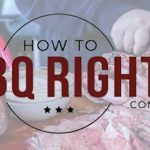 The site (then known as about.bbq.com) was one of the biggest repositories of BBQ and Grilling recipes, reviews, tips, and consumer research articles anywhere on the Internet. 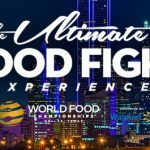 To give you a feel for what Derrick has and continues to put together, check out the following links I pulled from TheSpruce.com website. I’m honestly surprised that Derrick’s recipes and reviews are not more easily indexed with TheSpruce.com site setup. However, I found a work around. 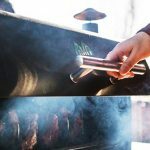 If you really want to get a big picture idea of the contributions Derrick has made as the BBQ expert and author for About.com (Now TheSpruce.com), check out this link. 30 Pages of Google Results! Know this. Derrick’s recipes are rock solid. I’ve followed them many times with great results. 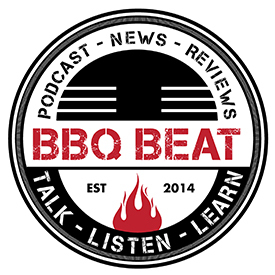 On the BBQ Reviews front – if Derrick has reviewed it, you can be sure he beat the hell out of it and pretty much treated the grill or smoker with utter brute force, leaving them out in the elements to fend for themselves! As he puts it in our talk, most people do NOT take the best care of their equipment. So he pushes the stuff he reviews to the limit on that front. 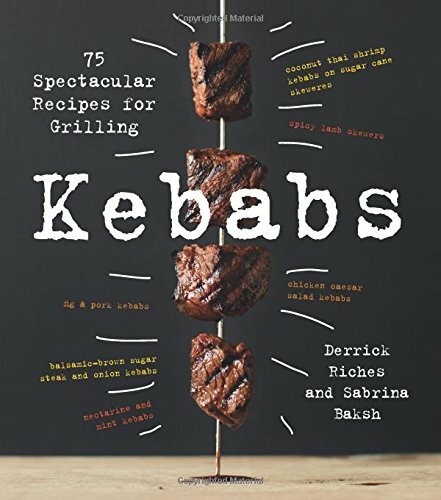 I mentioned that Derrick and his wife Sabrina Baksh have a new cook book coming out the first part of April called Kebabs: 75 Recipes for Grilling. This book takes the typical Veggie, Meat, Veggie, Meat, Veggie mindset many have when it comes to kebabs and expands on it greatly. I really hope you’ll enjoy this conversation with Derrick Riches. 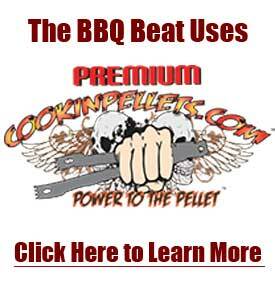 He’s a wealth of information and a go-to resource for live fire recipes and reviews. [spp-timestamp time=”2:30″] Derrick shares his background starting from his youth, growing up in Utah hunting, fishing, camping, live-fire cooking, and enjoying life outdoors. 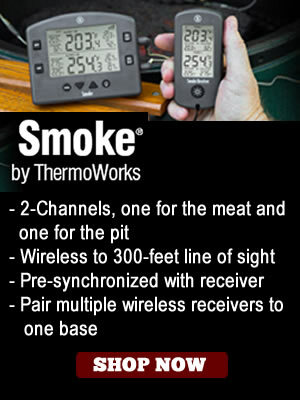 [spp-timestamp time=”3:19″] We hear Derrick relay what I’m going to call “The Kamado Story” …. where he shares how his family was gifted an old style Japanese kamado grill (from Japan) from a retired Naval officer who lived next door. This is also the segment where we learn that Derrick’s childhood home was situated on an old Cherry Orchard. Yeah. Cherry wood for days! Is this Heaven? No… It’s a Cherry Orchard in Utah! 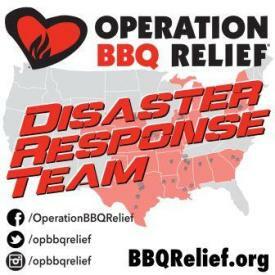 [spp-timestamp time=”5:22″] Derrick discovered real southern BBQ in his early 20s, when he visited a buddy who had moved to San Marcos, TX. They ate at a BBQ joint in New Braunfels, TX. 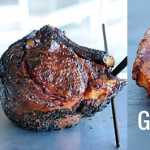 What’s cool here is that he and his Dad had been achieving similar results with chuck roasts and the like through their experimenting with the Kamado they had. [spp-timestamp time=”10:48″] Derrick shares his early adoption of the Internet in the mid to late 1980s using Usenet and list serve sites. He had a job in IT where he was monitoring applications and processes, along with working as a technical writer. During this time, he answered an online ad for someone to manage a database and write about grilling and barbecuing. 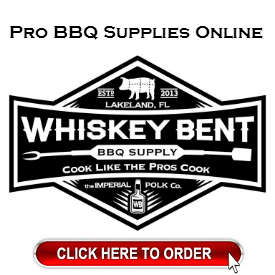 This ad was posted by what later came to be known as About.com, and his 20 years as their BBQ and Grilling expert moved forward from there. [spp-timestamp time=”20:38″] Derrick shares some of the things he has going on now, including some details about his Kebabs book releasing in April. 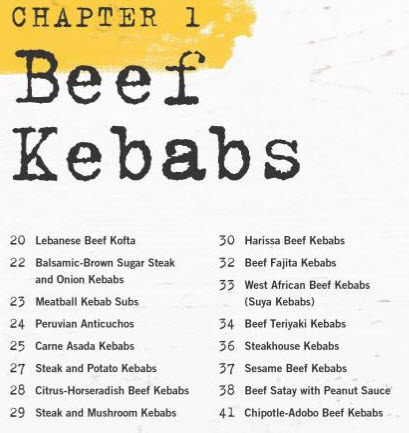 “Before hamburgers and hot dogs, kebabs are what street vendors had.” Meat on a stick is pretty much universal! The goal of this book is to go global with flavors from China, India, Japan, etc. 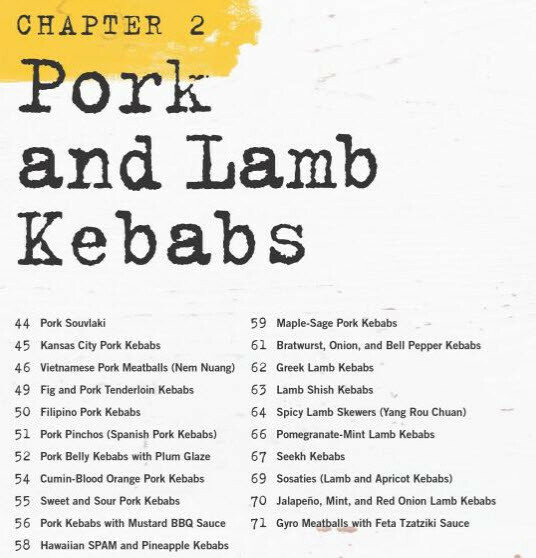 and also reproduce some local American favorites (like a Kansas City pork rib) with the kebab style. 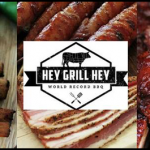 [spp-timestamp time=”30:56″] To round things out, I ask Derrick to offer up his thoughts on how someone new to grilling or smoking food, and specifically someone who thinks they might like to start competing with BBQ should proceed. His thoughts here are great, so if this is you… it’s worth a listen!